This year I made an entry for the Beadworkers Guild Crystal Anniversary competition: The Swarovski Showstopper!. 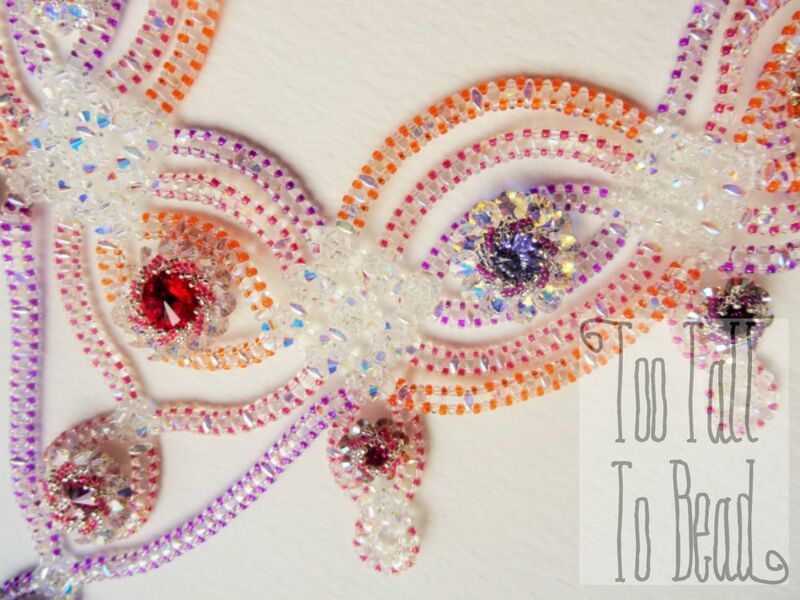 The brief was to make something stunning that featured mostly swarovski crystals. I used a combination of my ‘Windows and Arches’ design, with added ‘St Pete’s Pendant’ elements. For this design I decided to take windows and arches a step further, and make my first triple windows. This meant there would be three rows, each requiring a different colour. 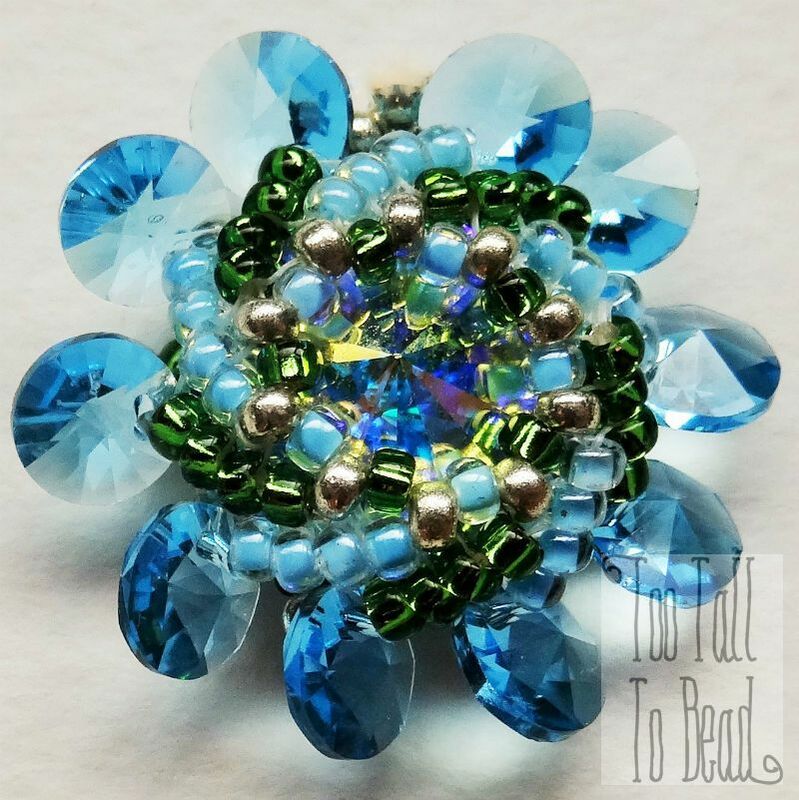 For the St Pete’s pendants, I decided to make them a little finer by shrinking the beads to size 15/0 and adding swarovski ‘sequins’ or bicones around the edge. I also added more ‘drop’ sections. 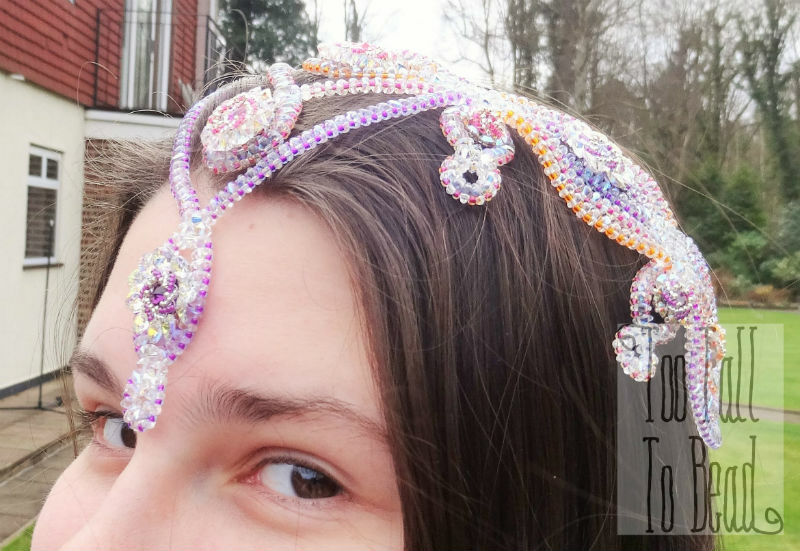 Unexpectedly I found that it also makes a lovely headdress for my daughter! So, it didn’t win, not least because of the very high standard of the other competitors. Things that I would do differently? 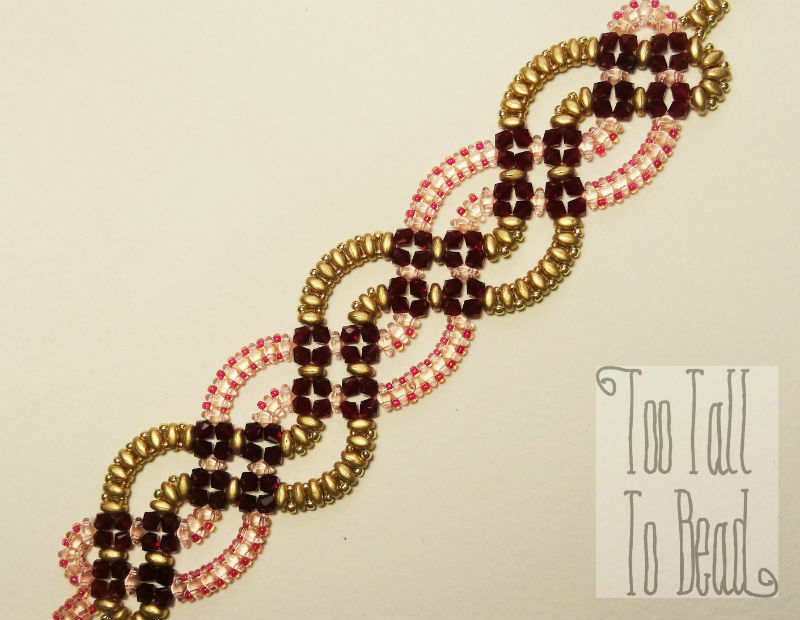 I now realize that because I used all of the same colour of duo beads, I missed out on the crossing over effect, that is the main point of this design.